My brain is sea of thoughts that never stops. A jumble of emotions and ideas. A mishmash of memories and inklings. Organized thoughts are impossible, that’s what lists are for. I write and erase and rewrite so that these posts are at least coherent, if not eloquent. Some days it takes longer than others. I think a lot of crazy things throughout the day. Things that often, I wouldn’t even be able to put into words. Things that I’m proud of, things that I’m scared of, things that make me happy. Some things to be shared, some things to be whispered, some things to be kept just for me. But sometimes, I think something that makes perfect sense. And then, I share it with you. In the sweltering heat of a humid summer afternoon, when it feels like there is no air to breathe, pineapple sorbet makes perfect sense. So easy, so refreshing. There is nothing like it. 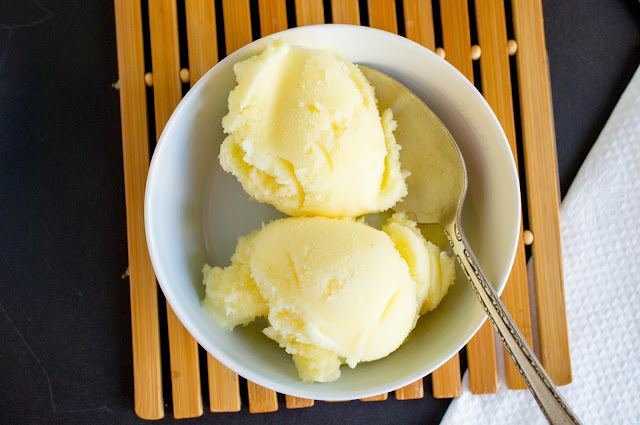 When life hands you lemons, make lemon sorbet, not lemonade. 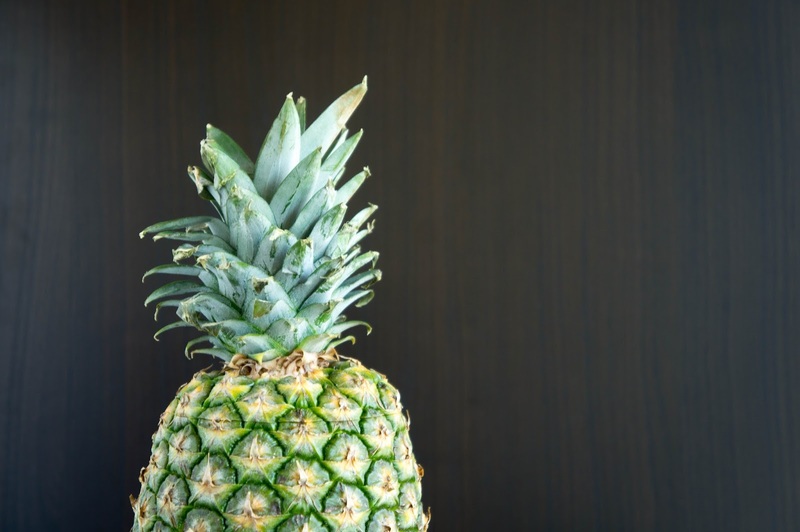 And when life gives you a pineapple, you know what to do. 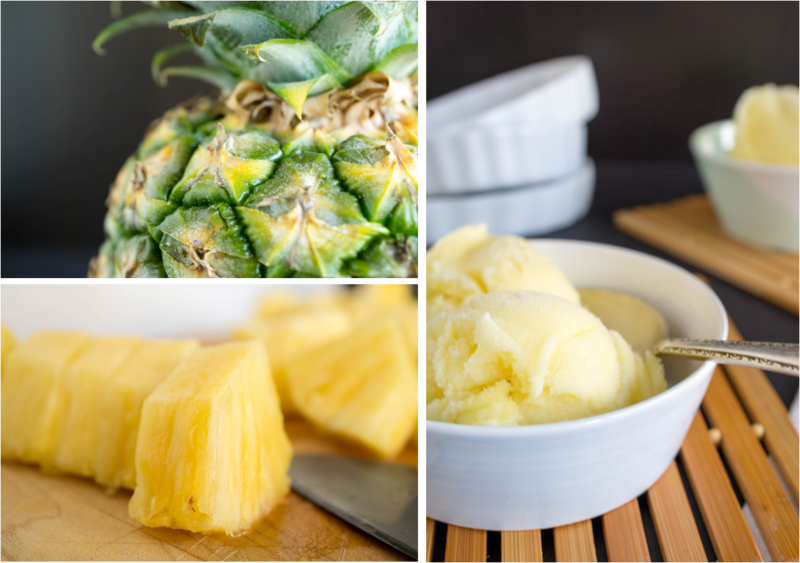 Blend together pineapple, water, and sugar in a blender until smooth. Taste for sugar, add more to taste. Chill mixture thoroughly. Process in an ice cream maker and store in the freezer. 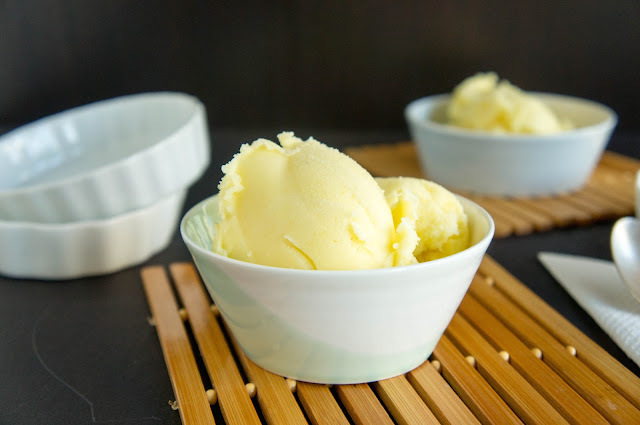 If you don’t have an ice cream maker, freeze the mixture in a pan, break into manageable chunks and blend briefly in a blender. Re-freeze. 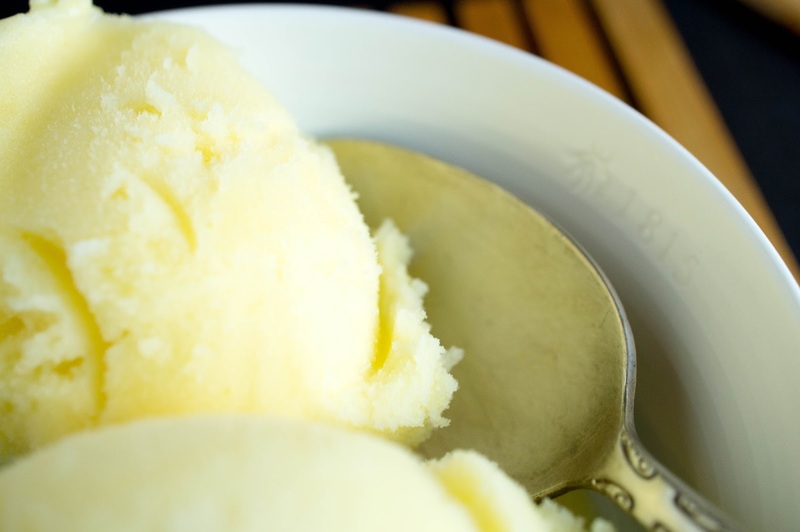 Remove sorbet from freezer about 5 minute before serving to make it easier to scoop. Mmmm, I absolutely LOVE pineapple!